The R-16 reactive coverstock describes our formulation that provides a perfect balance between power and control. The R-16 formula produces easy length and backend hook motion without extreme sensitivity to the dry and oily parts of the lane. 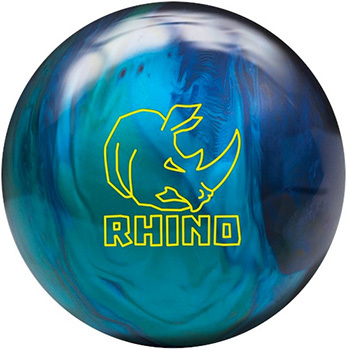 Combined with the traditional light bulb core shape, the Rhino delivers outstanding ball motion and impressive pin action for more strikes and higher scores.